March is a busy month: spring break, St. Patrick’s Day, March Madness and so much more. Not to mention: it’s the official start of spring, which means you can officially end your hibernation and start heading out for some fun. Whether you’re going to a St. Patrick’s Day Parade, cheering on your favorite team during the March Madness tournament or just having a fun night out with friends on spring break, we can all agree that carrying less is key. We know that for many ladies, a cross-body bag is their go-to. It keeps you hands-free, holds all the essentials and more. But we know an easy way to take it a step further and carry all the essentials in an even better way: our CandyShell Card cases. These cases, available as iPhone 6 cases, iPhone 5 cases, Samsung Galaxy S6 cases and much more, can hold all the night (or day) out essentials. This case has a handy slot to fit cash, IDs and cards – so you can just grab your phone and go! Looking for a couple other ways to get into the spring spirit? We’ve got a few! Spring cleaning. Okay, we know this isn’t exactly the most fun activity, but decluttering and getting a deep clean in your house or apartment is one of the more traditional spring activities. There’s no better way to welcome in the spring season than with a clean slate (literally!). Open the windows and get some fresh air. The best part about the warmer temperatures? Opening the windows in your home or car and getting some fresh air. It’s an instant pick-me-up. Bright colors and floral prints. Our favorite way to welcome in spring is to make the transition from sweaters and boots in neutral colors to bright colors and floral prints. Don’t limit it to just your clothes, either. 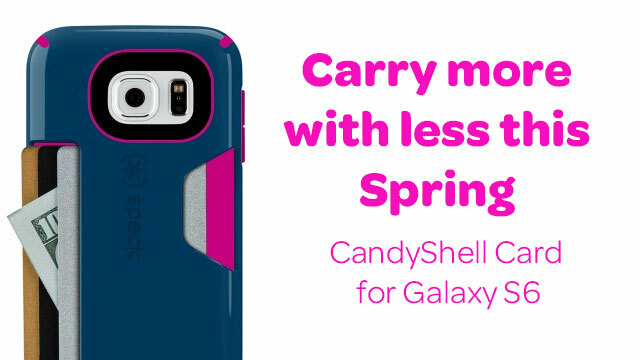 Swap your smartphone, tablet or eReader case for a bright, spring color or a beautiful floral print.